With so many reports lately of stolen tack, equipment, and even horses, there are relatively inexpensive measures you can take to ensure better farm security. Security isn’t only the purview of barns housing million-dollar mounts and expensive tack. Even modest operations and private barns can fall victim to theft, and online sites like Ebay and Kijiji are a crook’s paradise for selling stolen equipment. Then there are vandals who enjoy destroying property and nefarious individuals who maim or kill animals. Your farm, or the farm where you board, could be a criminal’s next target. The good news is many of the best security measures are simple to implement and budget-friendly. Even surveillance and alarm systems are more affordable and easier to use than ever before. Security should be a priority when choosing a boarding barn. Similarly, perimeter fences can keep out unwanted people. Wood is harder to break through than wire, which can easily be cut. Install and activate electric fencing. Electric chargers range from $100-$1,000 (solar are available); electric braid wire costs $2-$5 per linear foot. Turco notes the majority of horse thefts he investigated occurred on properties along main thoroughfares. Hinder highway bandits by situating paddocks far from roads. No matter where they’re turned out, check on your animals often, but vary your schedule so your visits aren’t predictable. Remove halters and hide them. Don’t hang near pasture gates. A well-lit property is a deterrent. Use automatic timers and install motion-sensor security lights ($20-$300) in key areas around the barnyard. Even simple warning signs such as “NO TRESPASSING” or “FARM UNDER 24-HOUR SURVEILLANCE” can give criminals pause ($5-$50). “I’m a big fan of dogs,” says Turco. Most dogs, even non-aggressive ones, usually bark when someone comes onto their property. Other noisy, territorial animals such as donkeys, even geese and chickens, can alert you to an intruder. Cost: priceless! Ensure all barn-related traffic on your property is funneled through a single entry point and passes your house. 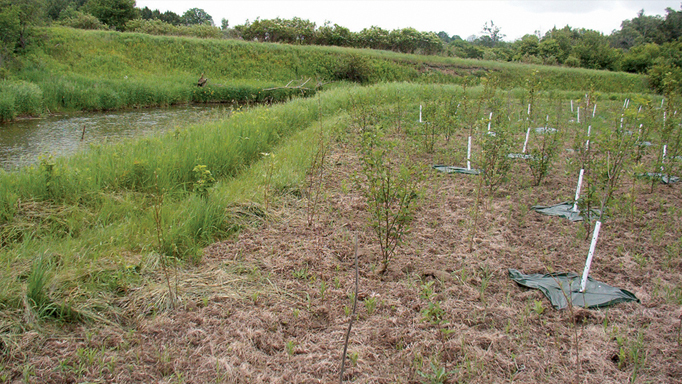 Trim vegetation away from buildings and fences that could conceal intruders. Lock tack, feed, and storage rooms. Secure windows with bars and locks. Security technology is now more versatile and not as cost-prohibitive, but of course, more bells and whistles means a greater financial outlay. It depends on your security requirements and your pocketbook as to whether you spend as little as a couple of hundred dollars or thousands. Quality modern systems are wireless and interact with your computer, tablets, or smartphones. Install cameras at gates, paddocks, at building entry points and important areas in the barn such as the tack room. Consider high-definition cameras with night-vision and recording capabilities that can provide valuable information if a crime occurs. Integrate the system with motion-detection sensors that trigger an alarm and activate a video recorder. Cameras should be rated for outdoor use, even in-barn units. Make cameras obvious so criminals know they are under surveillance. Prices range from $30 for single cameras to multi-camera systems costing $2,000-plus. To outfit a five-stall barn with cameras trained on two entrances and horse stalls would cost about $600-$800. Add possible monthly fees from security companies. Driveway alarms with electro-magnetic or infrared sensors will alert you to incoming vehicles (some even snap licence plate pictures), while building alarms systems can protect your barn ($30-$200). Some systems come with a remote-dialer that calls or texts you automatically on your cell phone if the alarm is triggered. Note plate numbers of suspicious vehicles and anyone who arrives uninvited. Boarding, lesson, and commercial facilities should have guests sign in. Use the people around you as a security resource. Become acquainted with your neighbours so they can help monitor comings and goings. 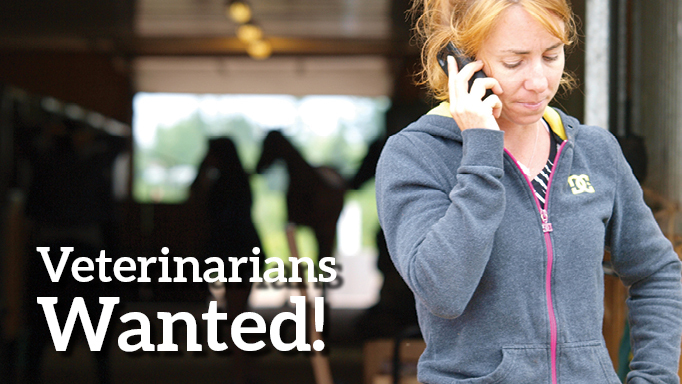 Consider establishing a community horse owners’ watch. Find security gaps by surveying your property with a criminal’s mindset. Consult local law enforcement and your insurance company for help. Every step taken to thwart lawbreakers is a step toward protecting your animals and equipment – not to mention yourself. 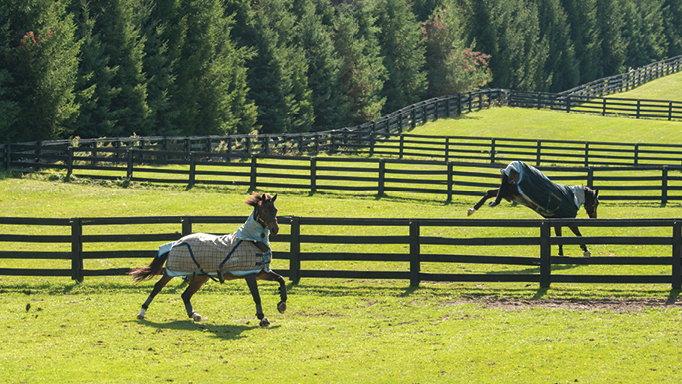 Horses that are identifiable are less appealing to thieves and are easier to recover if stolen. Ed Turco prefers freeze branding; a super-chilled iron is applied to the horse’s skin, destroying pigment. The hair grows back white or, on lighter-coloured horses, the area remains bald. Research indicates freeze branding is less painful than using hot irons, legibility is better, and brands aren’t as alterable. “If one of my horses was ever stolen, no matter where they went or what they did with that animal, they’ve got my brand on the side of him,” says Turco. Costs for do-it-yourselfers range from $200-$500 for the equipment (copper brands, dry ice/alcohol or liquid nitrogen, clippers, etc.) plus labour (at least three people). For those who aren’t experienced or comfortable with this idea, hire a veterinarian (who can provide sedation) or an expert brander, for $30-$100 per animal. The cost to register a brand (mandatory in BC, AB, and SK) is $25-$50 for a four- or five-year brand; $200 to $600 for lifetime registration. The “next level” of identification is microchipping. Tiny electronic transponders programmed with a 15-digit identification number are implanted in the horse’s neck. A hand-held, radio-frequency scanner reads the microchip number that’s registered with the manufacturer. Cost is $35-$70 depending on the veterinarian performing the service and whether they include the cost of the microchip/injector (usually they do). The problem? Microchips don’t act as a deterrent to criminals. “Nobody can see it. So if nobody checks it with a scanner, the thieves are safe,” notes Turco. However, signs on your property saying animals are microchipped might be a sufficient warning. It’s also important to safely store digital and hard-copy files for each horse with identification information: passport, bill of sale, transfer of ownership papers, Coggins certificates, breed registrations. Also include written descriptions with accompanying photos or videos focusing especially on close-ups of distinguishing marks such as whorls, chestnuts, and scars. A picture of you with your horse can also serve as proof of ownership. RCMP later confirmed Lola had been sedated. They called the theft planned and “well-executed.” And Liesel? “We still have no idea what happened to her. We still don’t know if she’s alive or if she’s dead,” says Ross. Not only concerned about the welfare of still-nursing Liesel, Ross and her family also had to watch 16-year-old Lola, who “was in her element as a mom” grieve the loss. Ross says the horse-centric Langley community is disturbed by what happened. But with no signs of criminal activity and no surveillance camera footage, there’s not much to go on. Police believe Liesel, worth $10,000 to $20,000 at the time of the theft, was lifted over the wood fence. Ross, who has also hired a private investigator, finds it “odd” that that no information has turned up despite social media posts about the theft spreading as far as Europe, several TV, radio and online stories, plus widespread dissemination of posters and flyers. Do you recognize this filly? If you have information, call Langley RCMP at 604-532-3200, Crime Stoppers 1-800-222-8477 (TIPS) or go to solvecrime.ca. 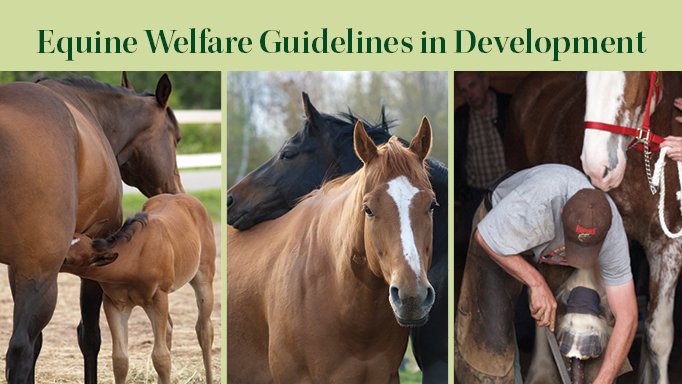 Equine welfare guidelines are in development.